For years, psychologists thought we instantly label each other by ethnicity. But one intriguing study in Nature Communication proposes this is far from inevitable, with obvious implications for tackling racism. After a decade of research failed to uncover experimental conditions that could prevent people instinctively categorizing by race, a trio of evolutionary psychologists has found that we are quick to lump people into groups, even on the slimmest evidence. And once we’ve identified a group, it’s also seems automatic to jump to conclusions about what they are like. The research used something called a “memory confusion protocol”. In this experiment if a participant more often confuses a black-haired man with a blond-haired man, it suggests that the category of hair color is less important than the category of gender (and similarly, if people rarely confuse a man for a woman, that also shows that gender is the stronger category). Using this protocol, the researchers tested the strength of categorization by race, something all previous efforts had shown was automatic. Here, the researchers added another powerful psychological force – group membership. People had to remember individuals who wore either yellow or gray basketball shirts, and whose pictures were presented alongside statements indicating which team they were in. Without the shirts, the pattern of errors was clear: participants automatically categorized the individuals by their race (in this case: African American or Euro American). But with the colored shirts, this automatic categorization didn’t happen: people’s errors revealed that team membership had become the dominant category, not the race of the players. So despite what dozens of experiments had appeared to show, this experiment created a situation where categorization by race faded into the background in the face of group membership. The explanation, according to the researchers, is that race is only important when it might indicate coalitional information – that is, whose team you are on. In situations where race isn’t correlated with coalition, it ceases to be important. This, they claim, makes sense from an evolutionary perspective. Since the experiment was published, the response from social psychologists has been muted. But supporting evidence is beginning to be reported, suggesting that the finding may hold. It’s an unfortunate fact of human psychology that we are quick to lump people into groups, even on the slimmest evidence. And once we’ve identified a group, it’s also seems automatic to jump to conclusions about what they are like. But this experiment suggests that although perceiving groups on the basis of race might be easy, it is also equally far from inevitable. A few African social psychologists have added that especially after centuries of falsely and maliciously sensitizing Euro Americans that they are superior to African Americans the power of group membership amongst Euro Americans does exacerbate racism itself. On the other hand, African Americans by virtue of their common color, common origin, and common culture, may find even stronger evidence of group membership through their common plight in the Americas at the hands of European enslavers. Mary Ekpo, an African social psychologist at a prominent Ghanaian think tank claims that the research is rarely novel. She argues the strength of categorization by race and that of group membership in this research have been all based on color. 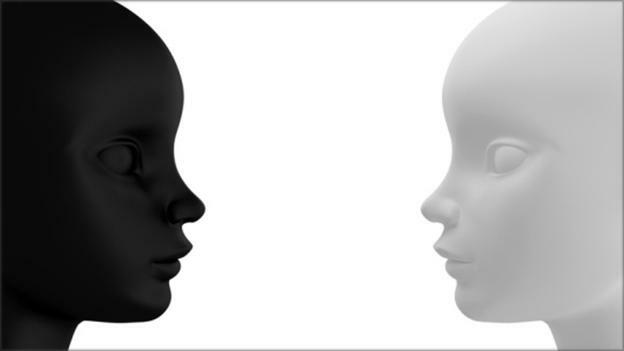 She suggests that perhaps when people switch through different color groups, black and white, red and green, it is easy to confuse their unique identities. Mensah Olenu, a lecturer in psychology at a prominent Ghanaian institution adds that group membership itself is the basis of racism and that the research tends to separate the two. In sum, the few African psychologists who have spoken out about this new research maintain that racism itself is a practice of group membership carried to its unacceptable extreme excess, and that these practices are rather taught to groups, not naturally acquired by them. Whether group mentality is taught or innate is a hard thing to discern. The best way to find out would be to test children at an age when they are too young to have learned anything about race or to have bee influenced by their interactions with people or media. Part of the reason people “stereotype” or make generalized judgments based on group membership is because our brains like to take shortcuts. But these shortcuts can be harmful when stereotypes are untrue and damaging.